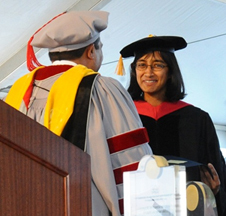 Latha Venkataraman, Assistant Professor in the Department of Applied Physics and Applied Mathematics, is the recipient of the 2010 SEAS Kim Award for Faculty Involvement. The award recognizes a faculty member who has been exceptionally involved in the academic and co-curricular life of students in SEAS. 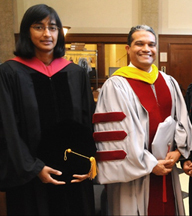 The Kim Award for Faculty Involvement, which includes a $2,000 honorarium and a commemorative plaque, is presented annually at the Class Day ceremony.